Phillipsburg NJ, April 16, 2011 — Earth Day helps people remember that the planet Earth needs care. When people work together plants, animals, and people live healthy lives. Earth Day gives us a special time to appreciate our world and reminds us of the importance of keeping our soil, air and water clean. Enjoy a great day of learning, and fun designed for the Warren County community. Celebrate all things green and sustainable at Perfect Christmas Tree Farm’s annual Earth Day event on April 23, between 10 AM & 3 PM. Perfect Christmas Tree Farm is conveniently located at 999 US 22, in Phillipsburg NJ. They host a full day of activities for nature enthusiasts. The highlight of the day is the 11:00 AM presentation of a multi-million dollar check from the United States Department of Agriculture to the city of Lopatcong for construction of a new pumping station. Earth Day is the perfect time to focus on current challenges and opportunities relating to water quality and storm water management. How our tax dollars are working in the community is good news for the citizens of Lopatcong and good for clean water and the earth. Dignataries from the USDA and NJDA and state and local government will be on hand. An exhibit provided by the city explains how a new pumping station works. Other activities are designed for both individuals and families, for young and old, including the family dog. The movies ‘Mad City Chickens’ about backyard poultry and ‘FLOW’, an award winner about safe drinking water play continuously throughout the day. Walk in an out of our Garage Theater and take in the movies in bits or sit through the entire performance. Either way you learn something more about our Earth. Washington Community Garden members are on hand to teach anyone willing to get their hands dirty, how to make seed bombs. This complete habitat, made of red clay, wildflower seeds and organic fertilizer, mixed in correct proportions needs only the rain to germinate and explode into an array of wildflowers. Scatter them on hard to cultivate plots of land and watch flowers grow, year after year. Masanobu Fukuoka, a Japanese microbiologist and soil scientist who is considered the founder of ‘Natural Farming’, inspired this simplified approach. Earth Science educator Carmen Pirotte brings a wealth of information about indoor and outdoor composting. She captivates children with her box of worms. Love them or hate them, the children learn about enriching the earth in a lesson they won’t soon forget. Professional Illustrator and long time recycling organizer, Susan Dietrich, travels from NYC to do Earth Day crafts with children. Using discarded items and imagination everyday disposables like milk cartons, cereal boxes and old magazine are transformed into birdhouses and mobiles with a little paint and glue. Children express their creativity while learning to reuse things usually wasted in the trash. You will be surprised to see what can recycle. A Swap Meet where people come out to do some old fashioned bartering benefits the Highlands Tourism Partnership. Barter services and goods for other things, with other people. It’s a great way to meet people in the community, to learn about their interests and abilities. Goods for goods; services for services; services for goods and goods for services, and if you can’t trade, you can always buy and sell. The musical group, The Twin River Rounders, 4 players, banjo, guitar stand up bass, mandolin, and slide guitar, entertain from 11 AM till 2 PM. There is an open invitation to local musicians to bring their instruments to the Earth Day Celebration and make music around the farm. There are also hayrides into Perfect Christmas tree fields to learn about the 45 varieties of Christmas Trees growing here. Bring the dog on a leash and remember to bring pick-up bags. Canine behaviorist, Robert Hafer demonstrates positive training methods and Canine Good Citizen trials start at noon. Bring the old folks. 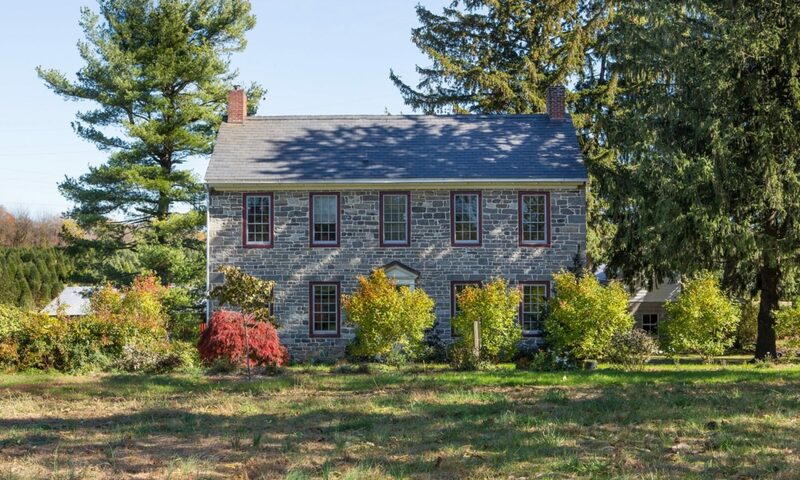 The 1780’s stone farmhouse, open to tour, is a perfect place to sit and rest, awhile. The children are bound to enjoy the Hayrides and Easter Egg Hunt. Many people call Earth Day the beginning of the modern environmental movement. It first was held April 22, 1970. Now, 41 years later, the mission of the Earth Day Celebration at Perfect Christmas Tree Farm on April 23, 2011, is nearly the same. It is to foster a greater level of environmental stewardship in the community, to promote eco-friendly living and to inspire people to practice a greener lifestyle to improve the environment, and appreciate nature more. This Earth Day, celebrate the planet we live on with good food and great people. Round up some friends and connect with nature and become better stewards of our planet. Perfect Christmas Tree Farm is owned and run by John and Cynthia Curtis, the farmer and his wife. They work the farm and live their dream, and invite you to share in its deep history and natural beauty. Contact Cynthia or John by telephone at 908-387-1225 or by email at info@xmas.localseven.com.